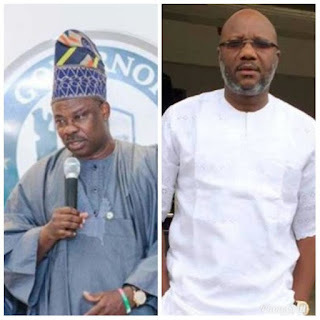 information making the round is anything to go by, then Governor Ibikunle Amosun of Ogun state may have suffered a great setback in his bid to install a successor in the person of Allied People’s Movement governorship candidate, Hon. Kunle Akinlade, as the teachers in the state are alleged to have kicked against the choice of Amosun as the man they will support with their votes in a matter of weeks when the governorship election will be conducted. The teachers, it was alleged said Akinlade’s backer, Senator Amosun stopped paying running cost to public schools for over 3 years, stopped promotion and training of teachers, stopped payment of gratuities and most importantly stopped the remittance of cooperative deductions. The concerned teachers were alleged to have said they didn’t want continuation of Amosun’s draconian policies through Hon Akinlade of APM. They also allegedly said they will speak with their PVCs that alleged cash gift they received from Akinlade was their entitlement.